The events listed below are maintained in a Google Calendar. These events are expected to have participation by Census Bureau staff. 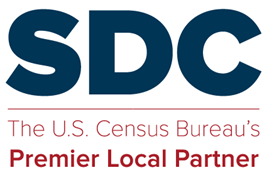 If you have a Census SDC sponsored event or a 2020 Census partnership event to add, contact our webteam, and ask for access to the google calendar. April 1, 2020 at 12:00 pm – 1:00 pm Have you completed your Census 2020 questionnaire? This entry was posted in Events, Sharing and tagged Events.